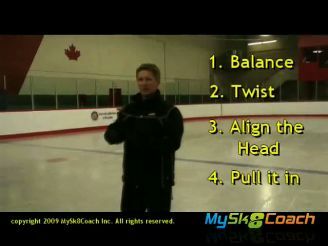 We know the tuck is critical so let’s watch this 3 min 36 video on how to get it done. This will also make it feel easier. Watch and hear how the free leg needs to be out to the side on your flying sit and your arms need to be in a v and not too high. You need to keep your back straight and be very strong in the core area. You will see lines drawn to show where the tuck should be to get this difficult fly feature. You will also see slow motion while hearing tips on technique. See how you MUST land and hit the sit position in two rotations as well. You could have the best tuck but if you dont get down for 2 and hold for 2 you will lose this feature. Categories: Spins, Sit, Difficult Features, Flying Product Coach: Paige Aistrop. Product Skill Level: Intermediate, Advanced. Product Lesson Type: Private, Positions, Tips, Technique. Be the first to review “Flying Sit Let’s Get The Tuck” Click here to cancel reply.